When you travel to Ukraine, you enter a country full of paradoxes. The Ukrainians are proud of their roots, and reticent about their recent past; the country participates in international space programs and produces the world’s largest aircraft, but still lives in a world of superstitions. The Ukrainian way of life is a mix of the old Soviet legacy, centuries-old customs, and a search for a new European identity. Culture Smart! 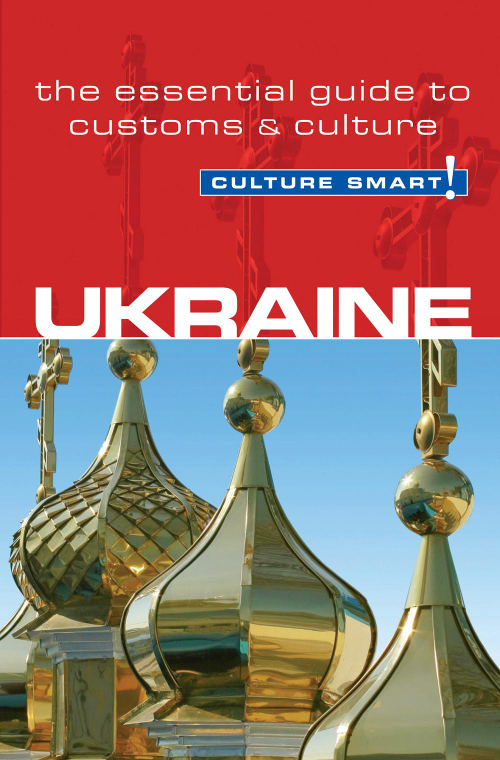 Ukraine will help you get to know the Ukrainians at home, at work, and at play. It will inform you about the historical, political, and religious background that continues to shape the Ukrainian psyche today. Using illustrative anecdotes, it describes present-day values and attitudes, and offers practical advice on what to expect and how to behave in different social circumstances. It aims to make you feel at ease, whether you are sitting at a generously spread Ukrainian dinner table, shopping in a market, or attending a formal business meeting. Ukrainians love to talk. Simply asking, “How are you?” can interrupt your day for hours, as the other person will likely involve you in a range of topics. When you in turn are asked, try to do better than just "Fine, thank you", as it is considered curt.